We outline the steps needed to unlock and join Clans in Tom Clancy's The Division 2. 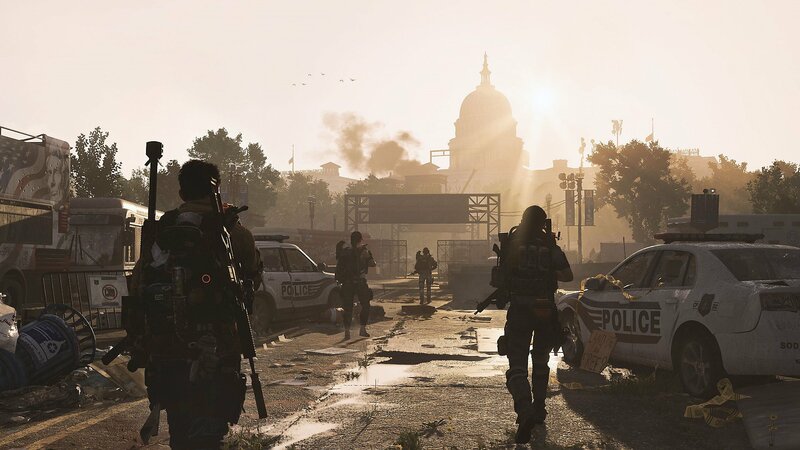 While playing through Tom Clancy’s The Division 2, many players have found themselves wondering how to join a Clan. If you primarily intend to play The Division 2 for its PvP components, joining a Clan can be extremely beneficial as you’ll expand the number of players you’re able to play with. You can also start up your own Clan with your friends if you wish. Of course, an issue you may run into is that in order to join and create Clans, you’ll first need to unlock them in The Division 2. Confused? We’ve got you covered! Below, we’ve put together a quick guide explaining how to join and create Clans in Tom Clancy’s The Division 2. To join and create Clans in Tom Clancy's The Division 2, you'll need to recruit Grace Larson at the Theater Settlement. As noted above, you won’t be able to join Clans in The Division 2 without first unlocking them. To unlock the Clan option in Tom Clancy’s The Division 2, you’ll need to play through the game’s story campaign until you reach the “Viewpoint Museum” mission. In this mission, you’ll be able to meet up with Grace Larson who can be found at the Theater Settlement. When you speak with her, you’ll be given the option to recruit her services. Make sure that you remember to recruit Grace, as doing this will unlock the Clan option in The Division 2. With Clans unlocked, you can either create your own Clan, or join someone else’s Clan. To do this, you’ll need to open the game’s main menu by hitting the Menu button on Xbox One or the Options button on PlayStation 4. On the left side of your screen, you’ll notice a new “Clans” section. Open Clans, then choose to either create a Clan, or find and join a Clan. There are a variety of filter options that can help you either define what your newly created Clan is about, or find someone else’s Clan based on parameters like region. If you prefer to have a bit more control, creating your own Clan can be a good idea so long as you have a few friends to help flesh it out. Alternatively, if you don’t have anyone to play with in The Division 2, joining a Clan can be a great way to partner up for PvP and PvE activities. It’s also a great way to make new friends as you’re able to chat with other Clan members. Now that you know how to create and join Clans in Tom Clancy’s The Division 2, be sure to check out some of our other guides including how to get SHD Tech in The Division 2, where to find C4 in the Roosevelt Island Stronghold area of The Division 2, and how to unlock the Dark Zone in The Division 2.